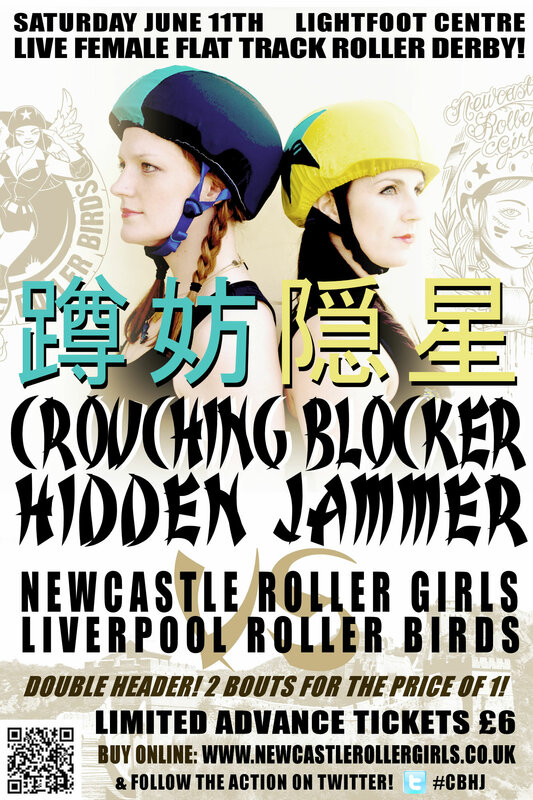 Your local, all-girl roller derby team – the Newcastle Roller Girls – have risen victorious from their May win against Leicester’s Dolly Rockit Rollers, and are set to battle against the Liverpool Roller Birds. 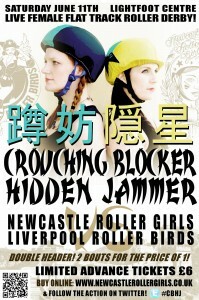 The duel between two sides alike in honour is named Crouching Blocker, Hidden Jammer, and will take place on Saturday 11 June 2011, at The Lightfoot Centre, Wharrier Street, Newcastle starting at 1pm. As always with roller derby expect to see the theme take on a world of its own, with the hall decorated as a Chinese paradise, themed skate outfits and halftime entertainment, as well as plenty of cakes and crafts on sale, making this a fun day for the family. & we made a movie! Check out our 1st bout promo, over on YouTube. Advance ticket sales are now closed. Please come along & buy on the door instead.